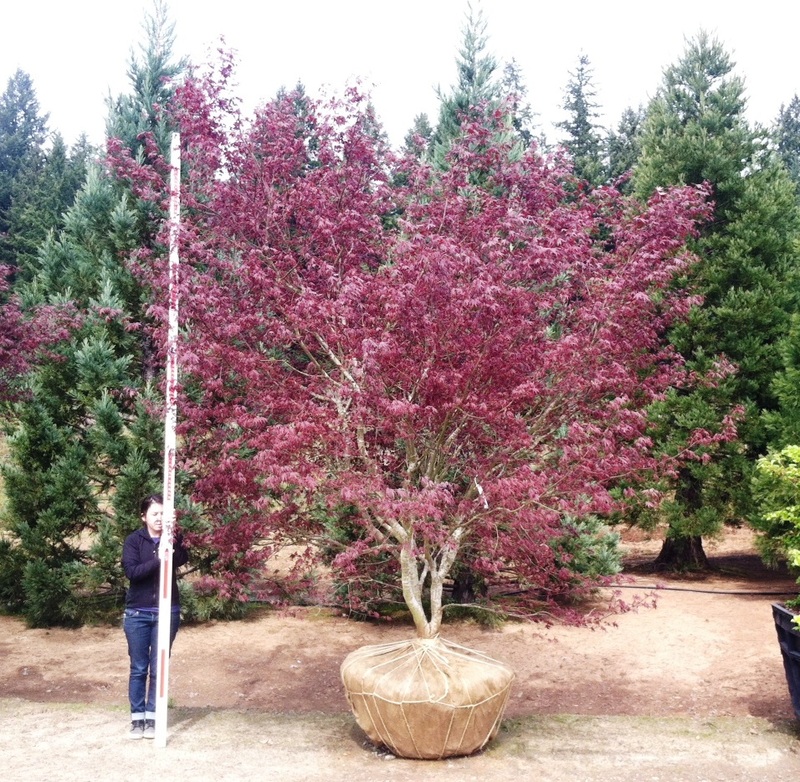 Acer p. 'Bloodgood' — Jaycee Newman, Inc.
Acer p. 'Bloodgood' is arguably the most popular and reliable red Japanese Maple. We are well stocked with an excellent selection ranging in size from 8'-14' multi-stem to 5"-7"+ caliper specimens. Our Bloodgoods have been hand selected for superior structure and character. They have all been hand dug and transplanted (root pruned) at least once. April 25, 2017 by Debbie Newman.